Thanksgiving leftovers are pretty epic on day one, but by day two, I tend to get a little bored by the mild flavors and starchiness of it all. That’s where this rainbow of a salad comes into play. 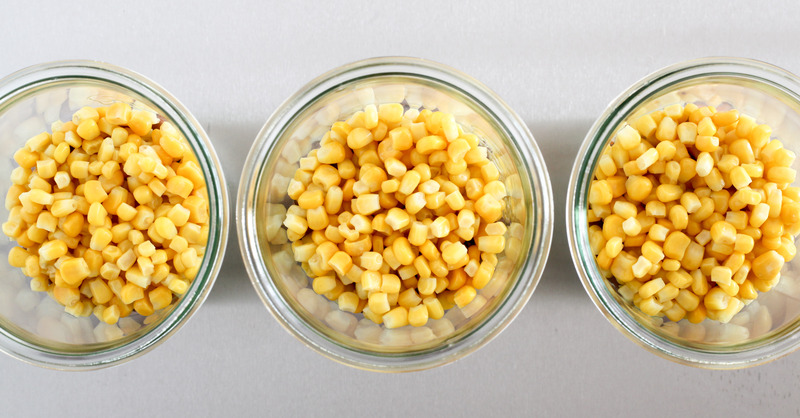 A celebration of fall produce — ok, corn is not really in season, but thawed previously-frozen kernels work great here — it is a fiber-packed antidote to holiday overindulgence, and a great make-ahead option. 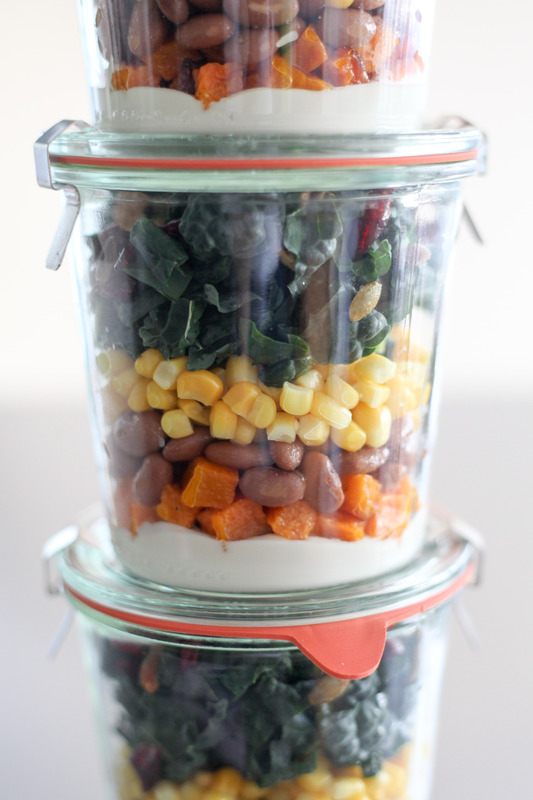 I no longer commute to an office, but still rely on strategic prep to get a head start on meals throughout the week. That can mean something as simple as simmering up a pot of quinoa, slow-cooking a pound of beans until creamy, or roasting a big batch of tomatoes, bell peppers, sweet potatoes or squash to add to scrambles, salads and the like. 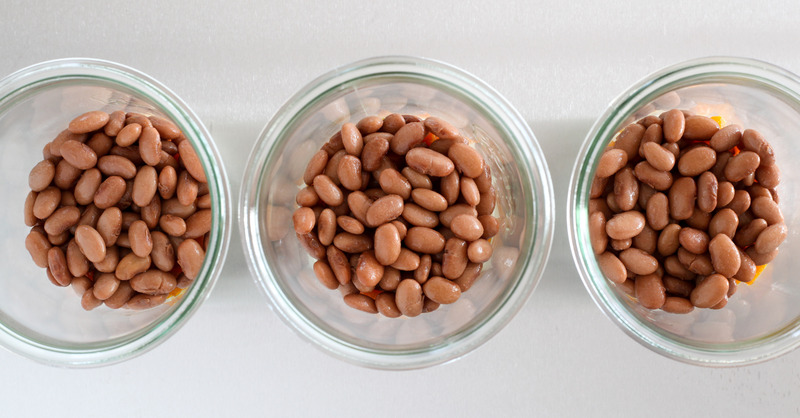 This recipe employs a few such tactics: the beans, butternut squash, and cashew crema can all be made ahead of time, and the salads themselves can either be built in a bowl as you go, or divvied up in mason jars for a hearty grab-and-go lunch. Sourced from Pamela Ellgen’s The Gluten Free Cookbook For Families, which just came out this past week, it is easy to prep, vegan, gluten-free, and quite tasty to boot. A quick note on the cookbook: I neither have children nor follow a gluten-free diet, but I still found plenty of inspiration in this one. It’s a solid resource for anyone looking for fast and easy weekday recipes (all the better if you are feeding a family or have dietary restrictions). Thoroughly toss the cubed butternut squash and 1 tablespoon olive oil on a half-sheet pan (aim to completely coat all sides of the squash, otherwise it might stick to the pan). Spread into an even layer and sprinkle generously with salt. Roast for 40-50 minutes or until deeply browned on the bottom. Cool before adding to the mason jar. Meanwhile: in a heat-safe container, soak the cashews in enough boiling water to cover them by 1 inch for 15 minutes. Drain, then add to a blender with garlic, lemon juice, 1 tablespoon olive oil, 1/4 teaspoon salt, and 1 tablespoon water. Blend until smooth, adding more water as needed to thin out/get the motor running; you're aiming for a texture akin to mayonnaise or sour cream. Season to taste with additional salt and lemon juice if needed (it should be tangy). Evenly divide the cashew cream between 4 pint-size mason jars. 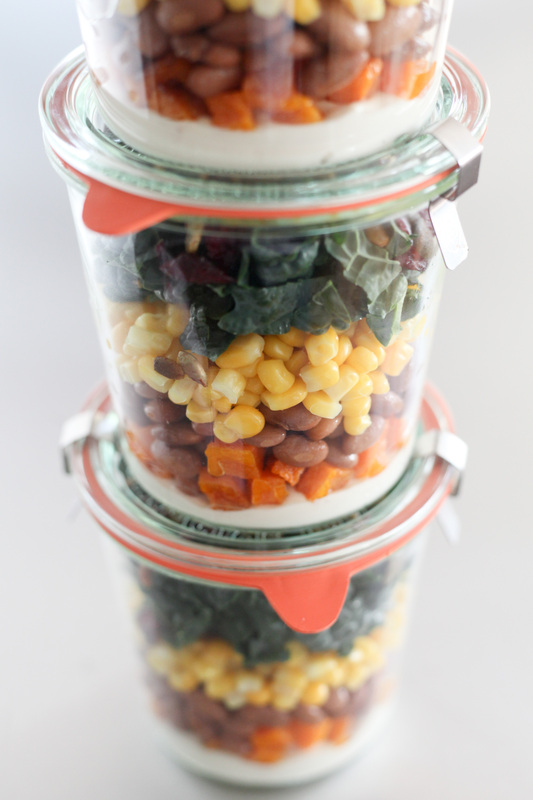 Layer the remaining ingredients in the following order (dividing them evenly between mason jars): squash, beans, corn, kale, dried cranberries, and pepitas. 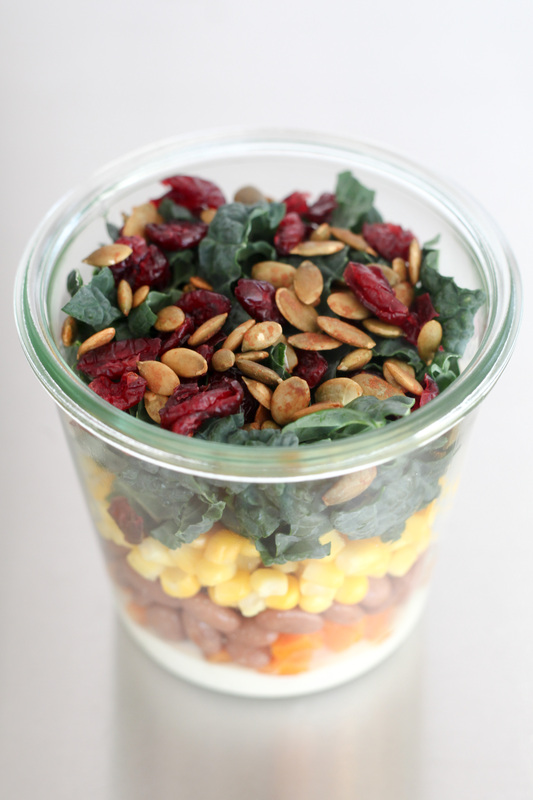 To serve as a bowl: divide all ingredients evenly between the bowls, then drizzle with cashew crema. A butternut squash can yield as much as 5-6 cups diced; cook the remainder another way, or dice it and roast it on a second half-sheet pan. Tamari pepitas are available in the bulk bins of many supermarkets; if you can't find them, roasted and salted are a good alternative. Or glaze raw seeds in tamari: toast the raw pepitas to a small skillet over medium-low heat; once toasted, turn off the heat and add a splash of soy sauce or tamari, stir with a silicone spatula to coat them evenly. Thanks for sharing, Nicole. I’m feeling the same way after the holiday – full. Yesterday I went shopping and didn’t buy any meat; now my fridge is overflowing with fresh produce. It was a great recipe, Pamela; looking forward to cooking from your book more :). 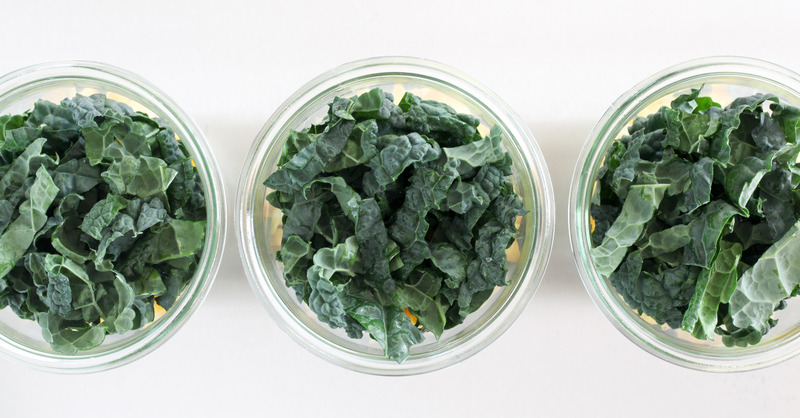 A fridge full of fresh produce sounds like just the post-Thanksgiving fix! What did it taste like? I just got the book and was looking at this recipe. I am tempted to make it, but wasn’t sure I would like it. Hi Tricia! Sorry for the slow response. This salad is great! A good mix of flavors and textures; it’s very well balanced. 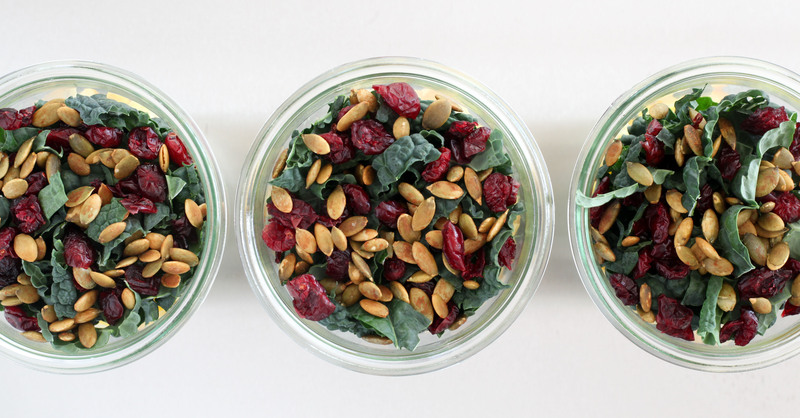 You have some sweetness from the cranberries, corn, and squash, saltiness and crunch from tamari pepitas, creamy richness with a bit of acidity from the cashew crema (there’s lemon juice in there), and the kale adds a mildly bitter edge. I think you’ll really like it — I’m curious, have you tried any recipes from the book yet? Hi. Thanks for our response. 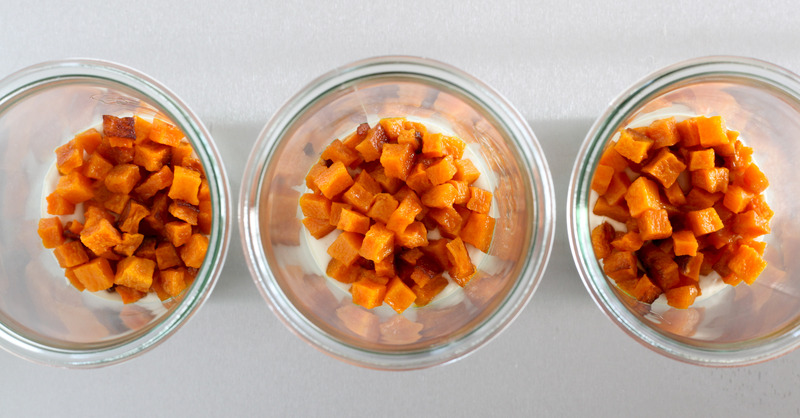 I was afraid to make it, because i thought the butternut squash could get too soft and feared the texture would be off-putting, but I will be making it now that you have recommended it. I have not yet made anything from this book. Most of the recipes I want to make require a whole lot of ingredients. So, I will just need to plan ahead a bit. If you have tried anything else, I would love to hear what you recommend.